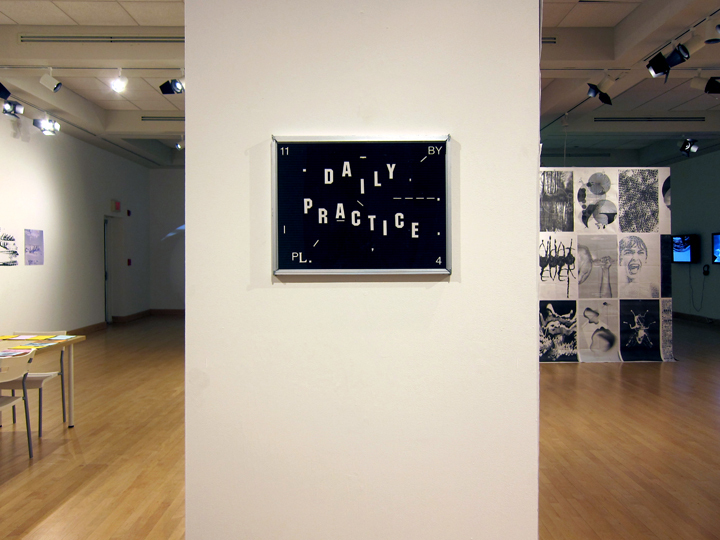 Daily Practice is an exhibition by Plural, a Chicago-based creative studio lead by Jeremiah Chiu and Renata Graw. 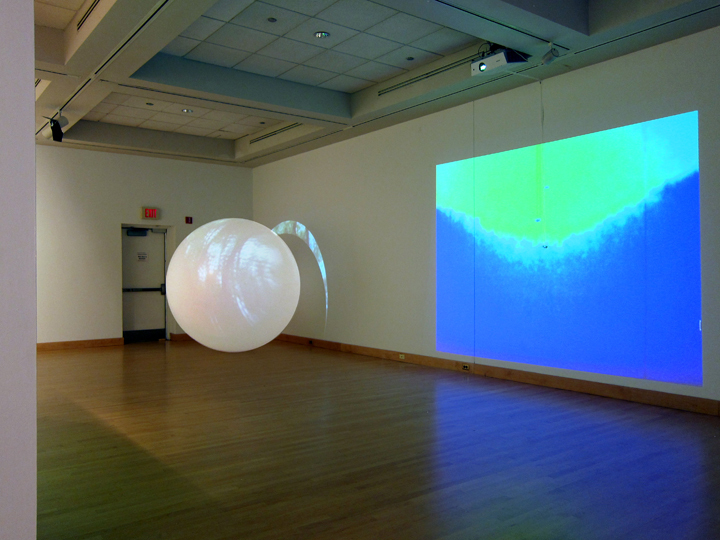 They do everything from design work, to motion based installations, to crazy experiments. Plural has received recognition and rewards from Print Magazine, HOW Magazine, Communication Arts, Creative Review, AIGA, and Typeforce. Some studios shouldn’t be this good, says the Breaks Over. 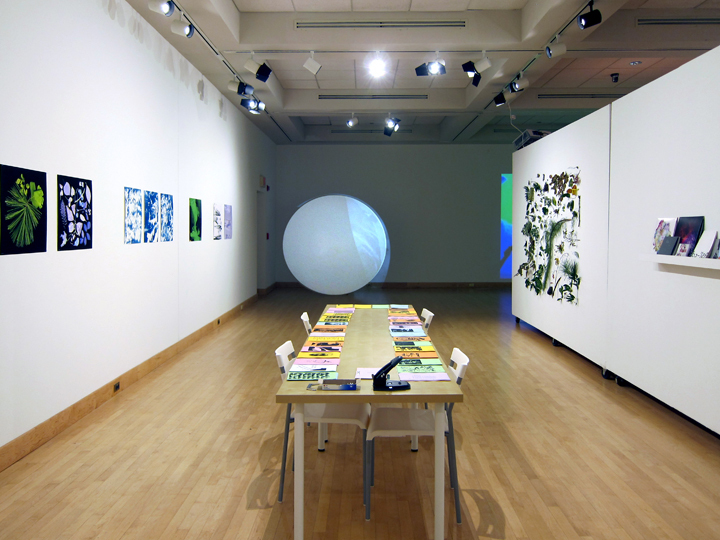 The exhibition title refers to the day-to-day evolution of their creative process which favors experimentation and play. It is all about looking and building on the simple says Chiu. 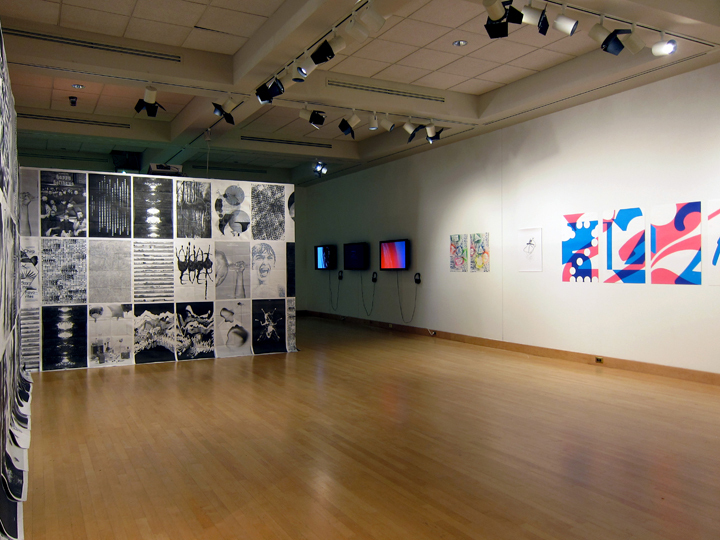 The show featured their prior print and video work–the result of that daily practice, as well as interactive and site-specific works, such as the infinity photo booth, the build your own catalogue station and a specimen wall created in collaboration with SU students.